New Ross has a long and rich history with organized religion. Currently there are three churches located in the Charing Cross area and two more in the Forties. 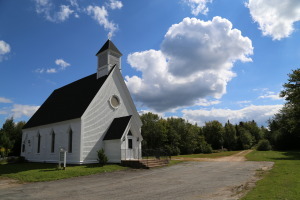 The Anglican Parish of New Ross is made up of the Christ Anglican Church, New Ross, St. Augustine’s Anglican Church, the Forties and St Cyprian’s Anglican Church, East Dalhousie. Christ Anglican Church is a Municipal Heritage site, located at 4 Forties Road and overlooks the intersection of Highway 12 and the Forties Road. It was built by prominent Lunenburg County master builder, Joseph Skerry in 1876 under the direction of Reverend Joseph Norwood, and is valued for its age, historical associations and Gothic Revival architecture. St. Augustine’s Anglican Church built in 1904, is located at 1587 Forties Road. The New Ross United Baptist Church Pastorate is made up of the New Ross United Baptist Church, 61 Forties Rd and the Forties United Baptist Church, 1510 Forties Rd. Both churches are active in the Lunenburg – Queens Baptist Association. The New Ross United Church formed when eleven members of the Chester Baptist Church left to form a church at Sherbrooke (New Ross). The first meeting house was built in 1855-1856 (Leopold, 1996, pp. 33). 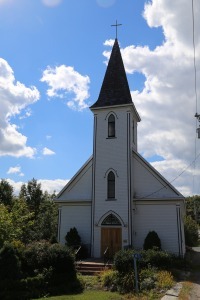 St. Augustine’s Catholic Parish is made up St. Augustine’s Church in Chester, St. Anthony’s in Hubbards, and St. Patrick’s Mission, located at 4828 Highway 12, New Ross. 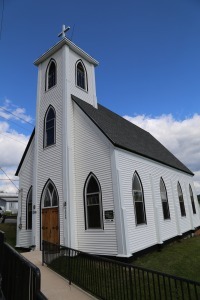 St Patrick’s has the distinction of being the first Roman Catholic Church in Lunenburg County. The original church was built in 1828, and the present church which was built on the same site, was erected in 1877. The church bell which was built at the Causard Foundry in Colmar, Haut Rhin, France was installed in 1931in memory of deceased members of the church.